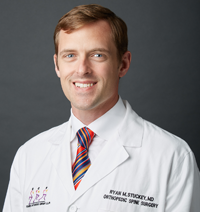 Dr. Ryan Stuckey is an orthopedic surgeon in Houston, Texas. He received his medical degree from University of Kansas School of Medicine and has been in practice between 11-20 years. 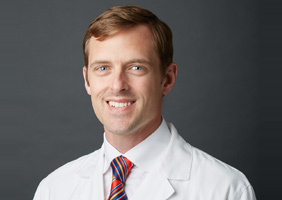 Dr. Stuckey affiliates with Texas Orthopedic Hospital and The Methodist Hospital and cooperates with doctors and specialists in many medical groups including Fondren Orthopedic Group L.L.P. 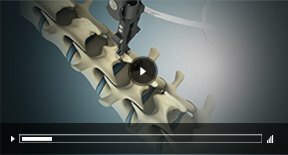 He is highly experienced in spinal decompression surgery and spinal fusion. He accepts several types of health insurance. Marco RA, Stuckey RM, and Holloway SP: Prolonged Bedrest as Adjuvant Therapy After Complex Reconstructive Spine Surgery. CORR. June 2012 Vol 470, Number 6. Stuckey RM, Fanning J: Compartment Syndrome of the Foot Secondary to PDS Suture Hypersensitivity: A Case Report. In Process for Publication 2008.